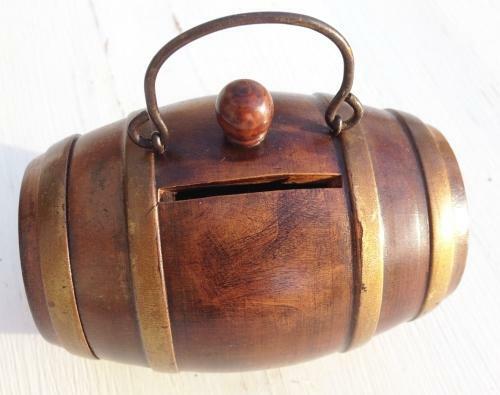 Charming Treen money box in the shape of a Keg barrel with painted gold rungs. Stands on 4 tiny stud legs. End unscrews. Nice quality and in perfect condition. Probably Fruitwood but may be Beech. Attractive stopper and wire handle.